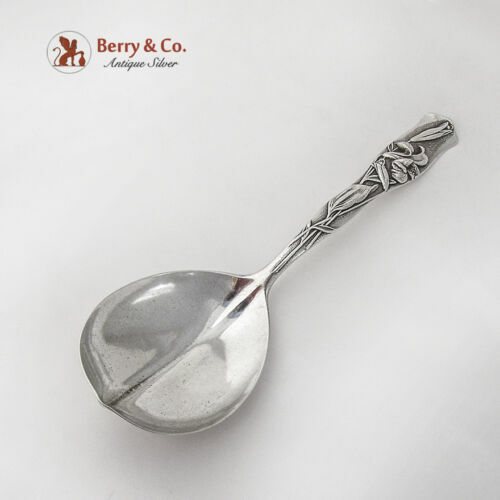 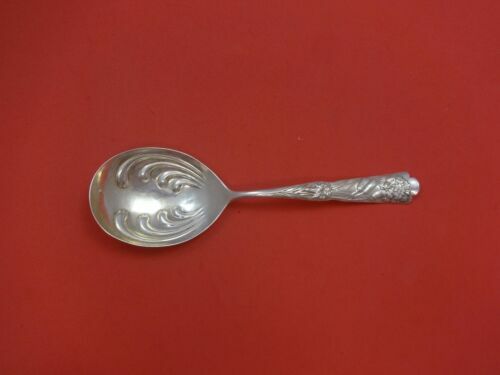 $9.0 AUTHENTIC VINTAGE LUNT AMERICAN VICTORIAN STERLING SILVER DINNER KNIFE 8.75"
$259.0 Flora by Shiebler Sterling Silver Serving Spoon 8 1/2"
$46.17 Shiebler sterling FLORA #4 Narcissus pattern teaspoon with monogram 5 1/2"
$489.0 Flora by Shiebler Sterling Silver Sugar Tong Large w/Claws Gold Washed 5 1/4"
$389.0 Flora by Shiebler Sterling Silver Master Butter FH w/ Blue Bells Twisted 7 1/4"
$289.0 Flora by Shiebler Sterling Silver Place Soup Spoon Gold Washed 7"
$289.0 Flora by Shiebler Sterling Silver Ice Cream Fork #2 Gold Washed 5 1/4"
$229.0 Flora by Shiebler Sterling Silver Grapefruit Spoon #1 5 5/8"
$489.0 Flora by Shiebler Sterling Silver Shoe Horn All Sterling 6 1/2"
$389.0 Flora by Shiebler Sterling Silver Cheese Scoop Gold Washed Original 7 1/4"
$289.0 Flora by Shiebler Sterling Silver Beef Fork w/Splayed Tines 8 1/8"
$289.0 Flora by Shiebler Sterling Silver Pastry Pie Fork 3-tine Heavy 7"
$489.0 Flora by Shiebler Sterling Silver Berry Spoon Ruffled 8 1/4"
$259.0 Flora by Shiebler Sterling Silver Ice Cream Spoon #4 GW Design In Bowl 5 1/2"
$289.0 Flora by Shiebler Sterling Silver Pate Spreader #4 Pierced w/Narcissus 4 1/2"
$289.0 Flora by Shiebler Sterling Silver Place Soup Spoon w/Carnations 7"
$259.0 Flora by Shiebler Sterling Silver Ice Cream Spoon #2 GW Design In Bowl 5 1/2"
$189.0 Flora by Shiebler Sterling Silver Sugar Spoon Fluted Gold Washed 5 7/8"
$189.0 Flora By Shiebler Sterling Silver Junior Fork #10 Dated '92 6"
$809.0 Flora by Shiebler Sterling Silver Salad Serving Fork Large Pierced 9 1/2"
$1509.0 Flora by Shiebler Sterling Silver Soup Ladle 13 1/2"
$998.5 Shiebler Flora Ice Cream Slice Solid w/Gold Wash Blade 10 5/8"
$259.0 Flora by Reed & Barton Sterling Silver Cheese Scoop 7 7/8"
Buy: $299.0 S Kirk & Son Repousse Candelabras #4 Prefect Condition, New Lower Price ! 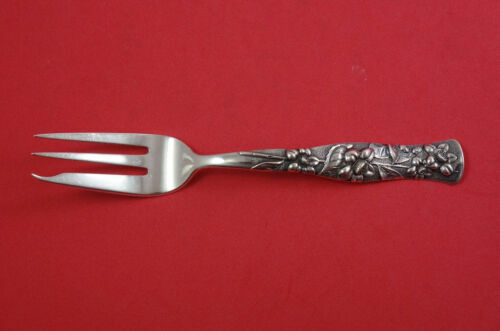 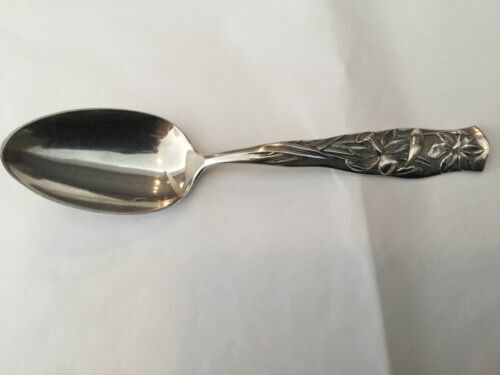 $15.99 Wm Rogers silverplate flatware vintage. 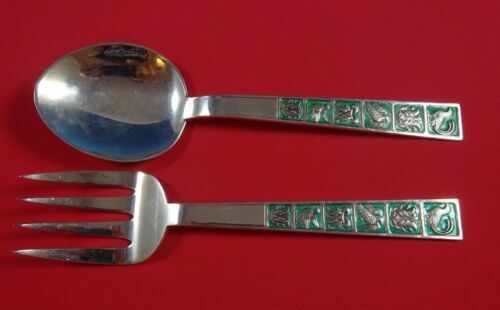 Set of 15 Extra Plate forks and spoons. 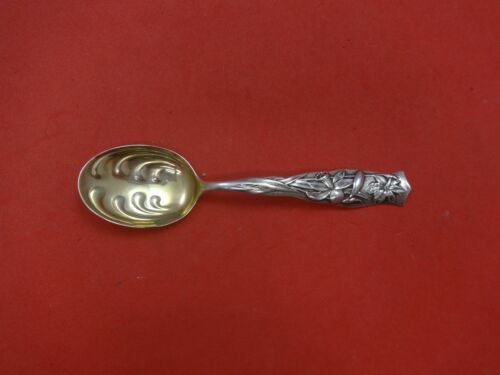 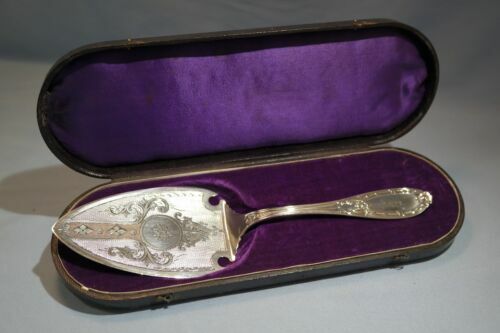 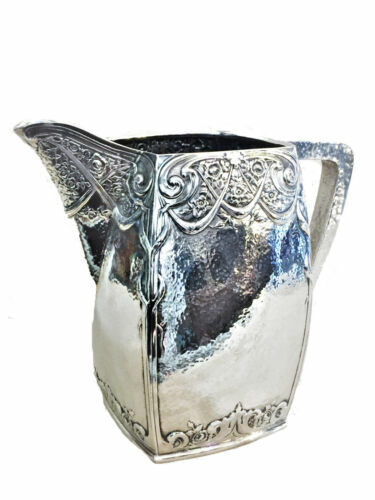 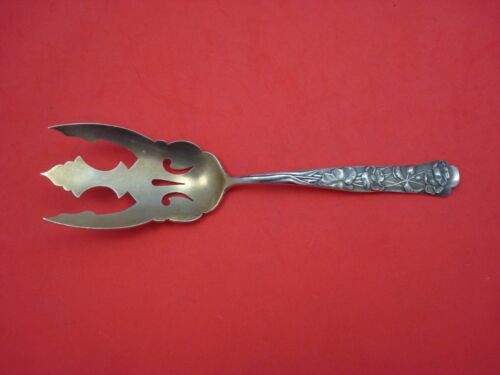 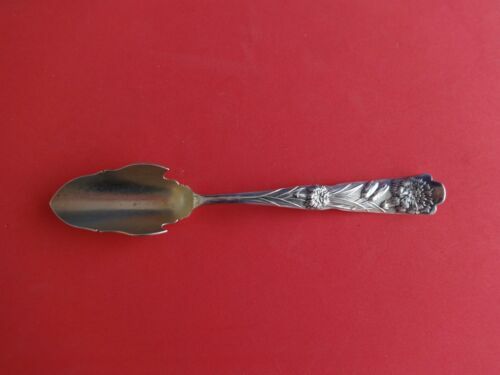 $2550.0 Flora by Shiebler Sterling Silver Fish Server Gold-Washed Floral Motif 13"
$159.0 Flora by Reed & Barton Sterling Silver Master Butter Flat Handle Bright Cut 7"
$139.0 RARE Manchester 1904-1914 Sterling Silver serving spoon - Flower design 6 3/8 "
$389.0 Flora by Shiebler Sterling Silver Regular Knife 8 5/8"
$309.0 Flora by Shiebler Sterling Silver Sauce Ladle Gold Washed 5 3/4"
$3007.94 Flora Fuschia by Geo. 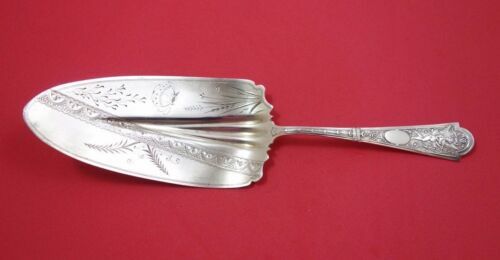 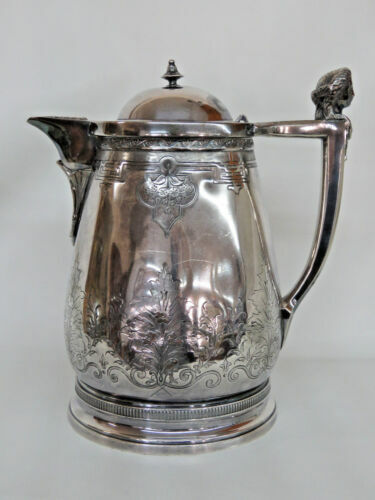 W. Shiebler 1887 Sterling Asparagus Meat Server 10 1/4"
$159.0 Flora by Reed & Barton Sterling Silver Game Fork 7 5/8"
$159.0 Flora by Reed & Barton Sterling Silver Game Knife 7 1/2"
Buy: $133.0 Vintage Oneida Silverplate Community Flatware/Silverware~Morning Star~Free Ship! 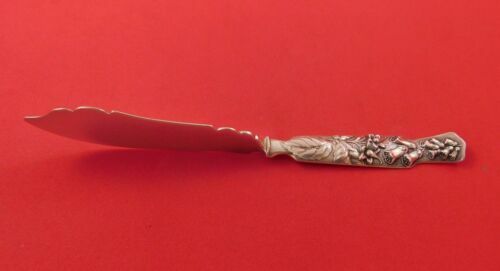 $2550.0 Flora by Shiebler Sterling Silver Ice Cream Slice Gold Washed 13 1/8"
$509.0 Flora by Shiebler Sterling Silver Dinner Knife Blunt 9 7/8"